My fridge is often filled with remnants of current projects, tastings and swag scored from recent events I’ve attended. Often these ingredients come together to create a impromptu meal on those late nights after work when I’m just too tired to shop for dinner. Having recently finished a cider project I’m still swimming in delicious offerings, my favorites being the barrel aged beauties from Bad Seed Cider in Highland, NY. 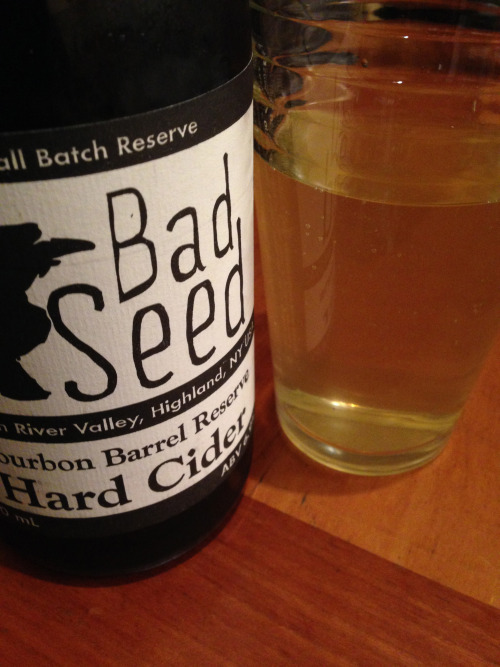 Bad Seed’s Bourbon barrel aged cider has just enough of a whiskey edge to appeal to my spirit loving side while being a stellar choice in cider. 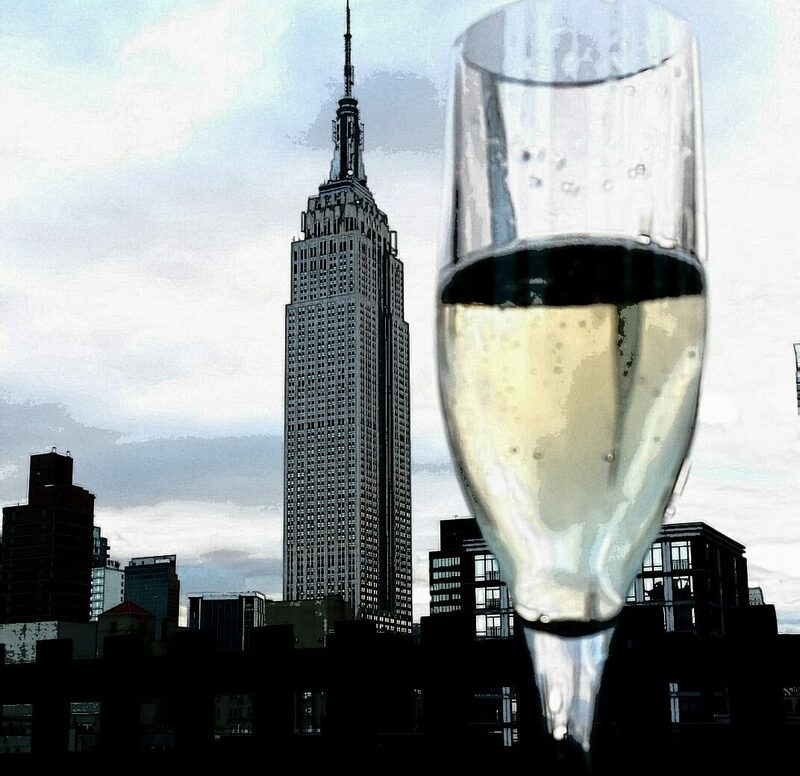 A bit edgy, and full of flavor, yet dry with a fabulous long finish. Pouring myself a glass after a long night I pondered what I could come up with to accompany it. Well apples and cheddar are a natural right? Using some English Cheddar left over from a recent tasting, and a bit of Maille mustard I’d acquired at an event to launch Maille’s new NYC location in the Flatiron in NYC, I whipped up one of my childhood favorites with a few updates, Rarebit. 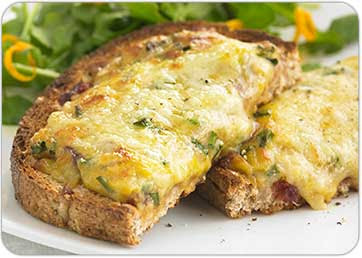 Rarebit is often made with dark beer and dry mustard but this version uses cider and Maille Dijon for a tasty twist. Maille makes a number of different mustards that could work in this dish but I prefer the original. The apple flavors play well with the spicy Dijon and salty, savory cheddar. Rarebit, a tasty, satisfying snack! I love Rarebit as a midnight snack especially when evening stretches into night and, usually, when overindulgence in alcohol has taken place. Rarebit is also good in the afternoon, as a light supper with a green salad and is made in a jiffy as it can be made in advance, save for the final toasting. To get it just right, toast the bread on a baking sheet until each piece is evenly browned on top. Then turn the pieces over and toast them about half as much on the second side before adding the cheese. 1. Put butter in a saucepan over medium heat and, as it melts, stir in flour. Continue to cook, stirring occasionally, until golden brown and very fragrant, 3 to 5 minutes. Stir in mustard and cayenne, then whisk in cider and Worcestershire sauce. 2. When mixture is uniform, turn heat to low and stir in cheese and scallions, again stirring until smooth. Remove from heat and pour into a heatproof container to set (you can refrigerate for up to a day at this point). 3. Spread mixture thickly on toast and put under broiler until bubbly and edges of toast are crisp. Serve immediately.